Lunch and dinner including two or three course menus to enjoy at any of our partner restaurants with Lunch or Dinner offerings. Select number of days, number of adults and kids and build your package. You do not need to rush to get from city shopping back to the hotel for dinner. 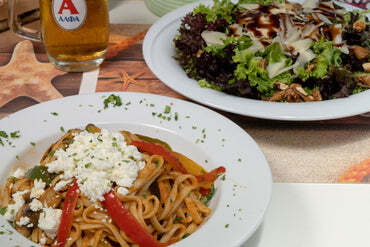 We have made sure that you will get a great and authentic meal. The choice where to have lunch or dinner today is at your discretion and convenience.